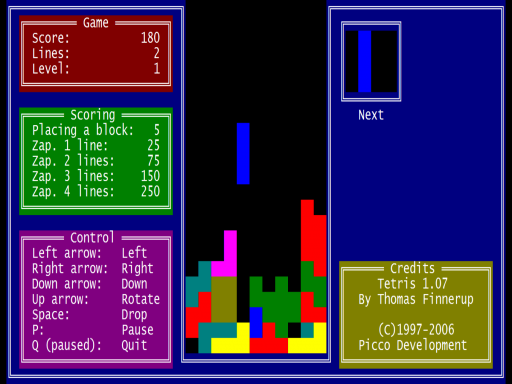 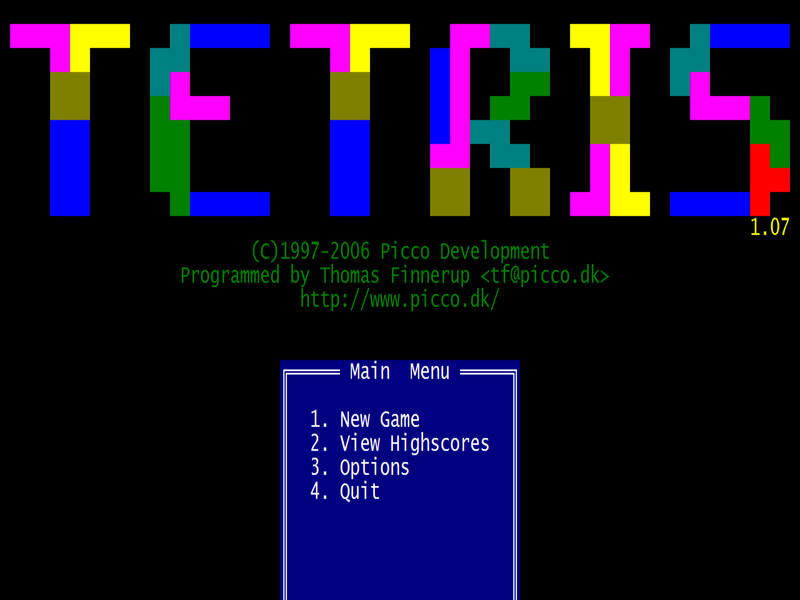 This is the first Tetris game I made. 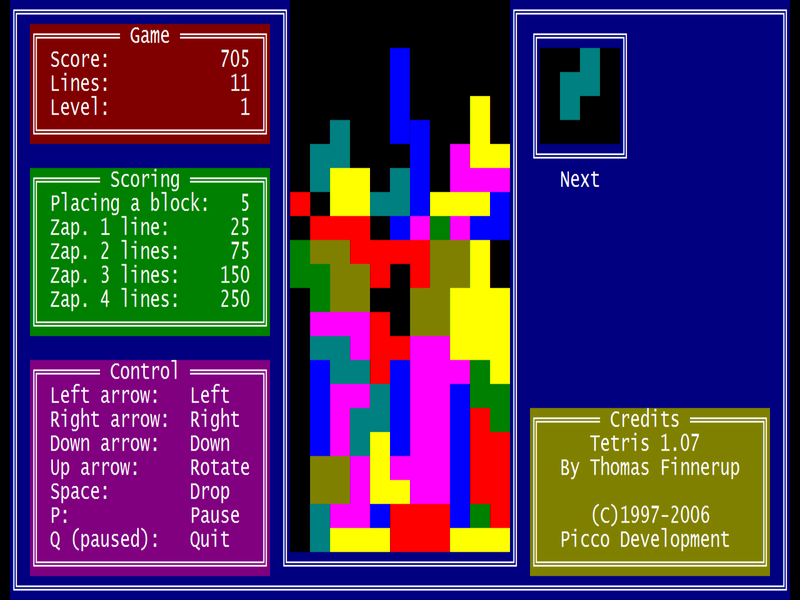 It has simple graphics and no music or sound effects, but it's still quite enjoyable. 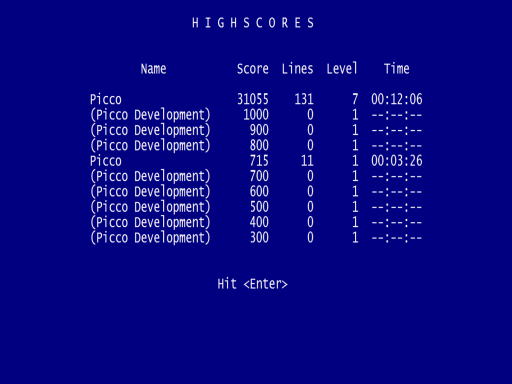 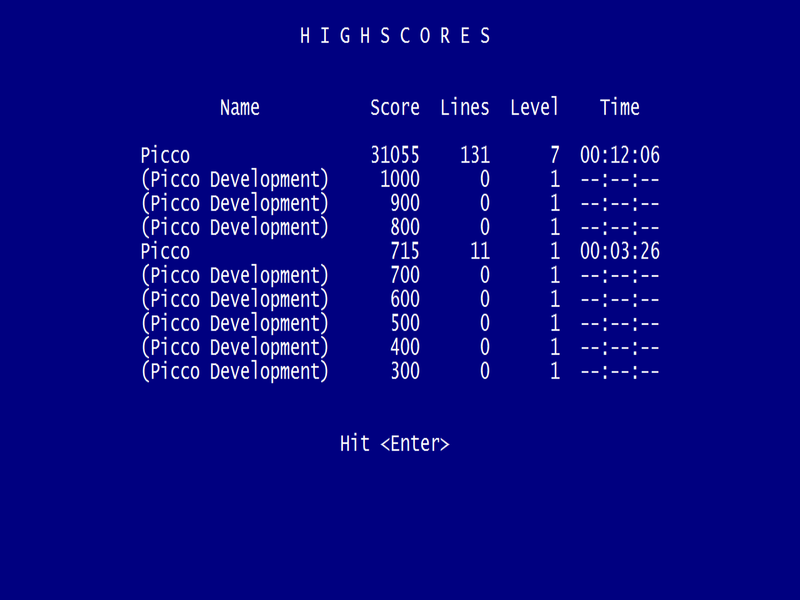 The difficulty is increasing, and there's both a pause function and a high score list. Alexey Pajitnov for inventing the original Tetris.